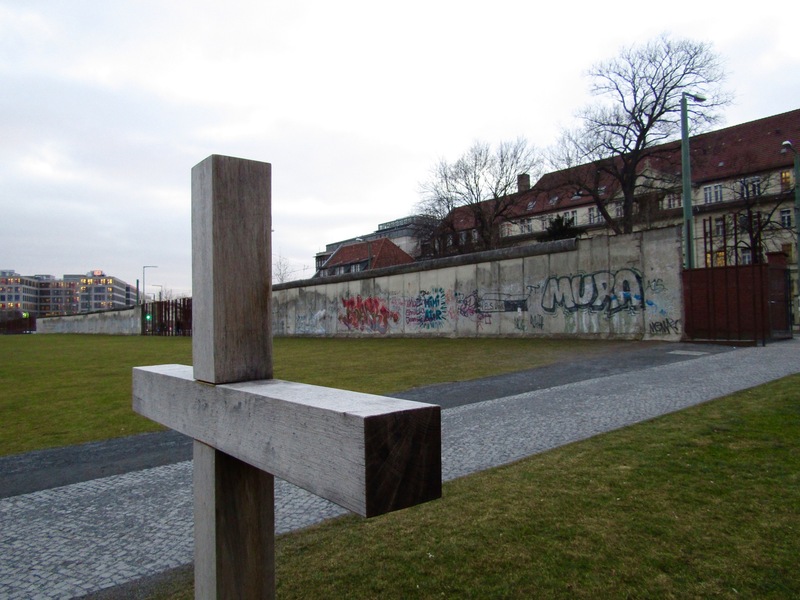 A cross placed by the Church of Reconciliation at the memorial. The church’s membership was divided by the wall. In 1985, the church was destroyed by the East German government.